For those of you who don’t know, I have two-year-old twins running around the house these days. 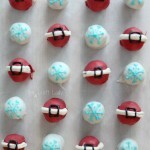 They are adorable and tons of fun, but they are totally cramping my holiday decorating style! Last year I didn’t bother putting up a full-sized tree. It just didn’t seem to be worth child-proofing when I could put up a mini-tree instead and keep everything out of reach. This year, I decided to put up a full-size tree, but with serious limitations on the decorations. Even with the “shatterproof” bulbs, I just don’t think having a bunch of ornaments for the kiddos to pull off the tree seems like a good idea. 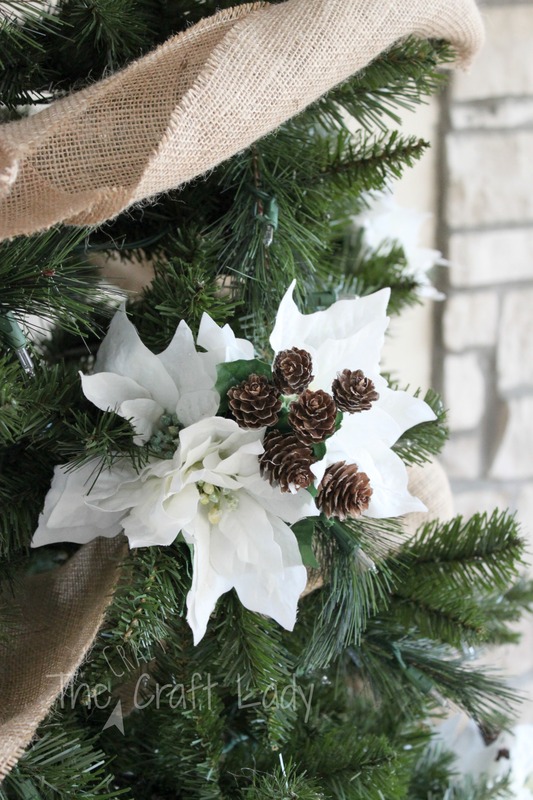 I opted instead for burlap and silk flowers – if the twins pull apart these ornaments, no harm done! 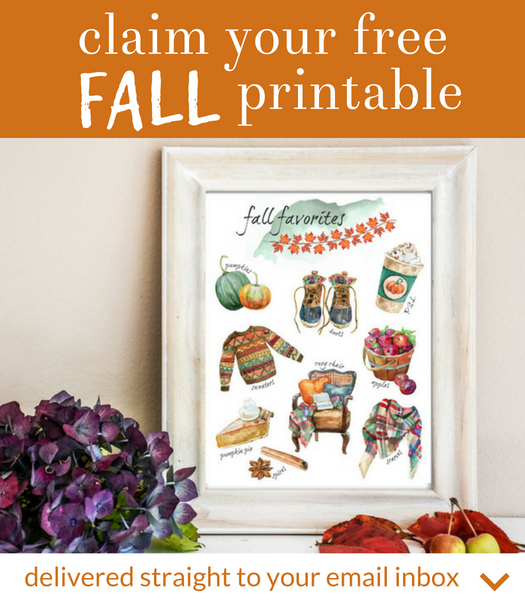 Do you love dollar store decorations as much as I do? 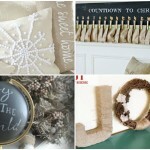 Then you’ll love these 16 Gorgeous Dollar Store Christmas Wreaths. 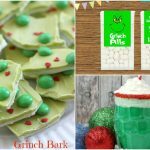 And if you’re looking for a deal on quick Christmas decor, be sure to check out these 17 Insanely Affordable Christmas Pillow Covers. 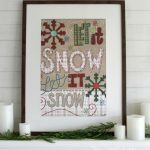 I ran over to JoAnn Fabrics on Black Friday and spent less than $30 on some supplies. 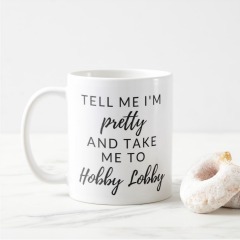 You heard that right. 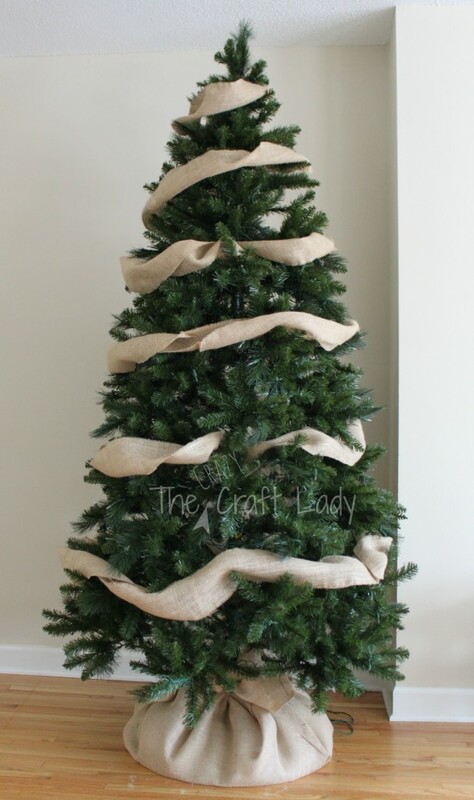 I spent less than $30 decorating my tree this year. Hooray! 7 yards of burlap (with a 50%-off coupon). You could probably get away with 5 yards. I had quite a bit left over for future projects. 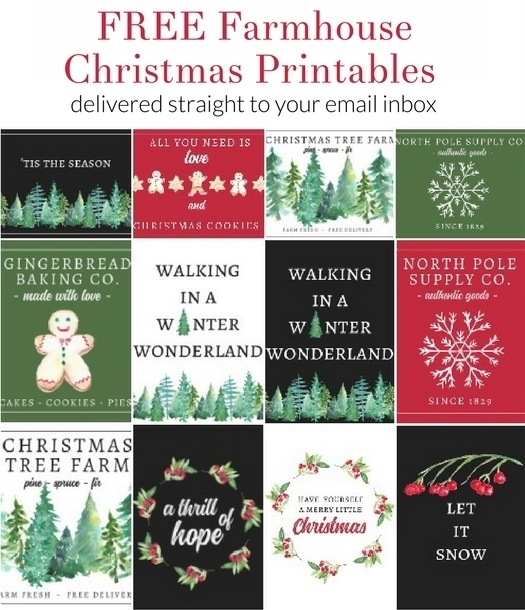 7 bunches of white flowers – 75%-off special. 5 bunches of decorative acorn sprigs – 75%-off special. 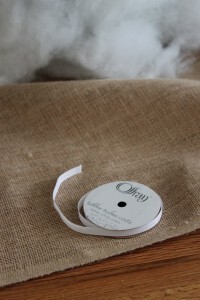 White ribbon – you could use twine or any old ribbon you have lying around. … oh, yeah, and a tree. Mine is a 7.5-foot pre-lit tree. 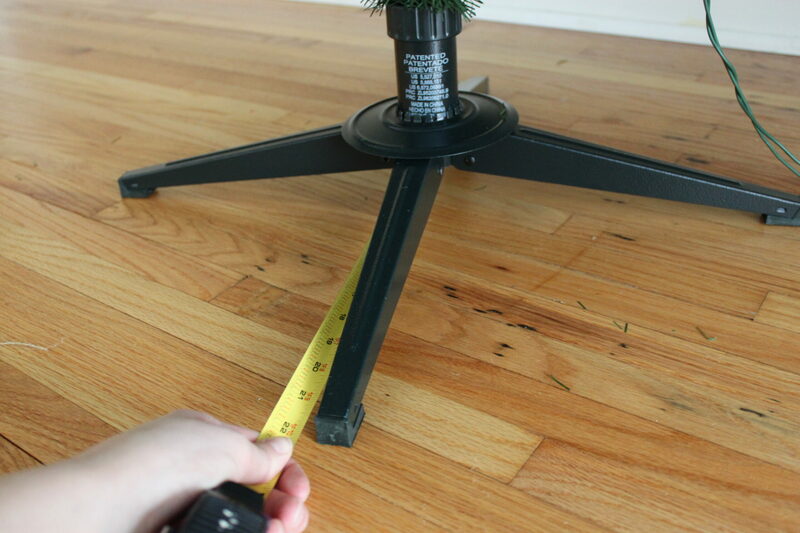 Step One: Measure the diameter of your tree base. The base for my 7.5-foot-tall tree was 22-inches. Add two inches. 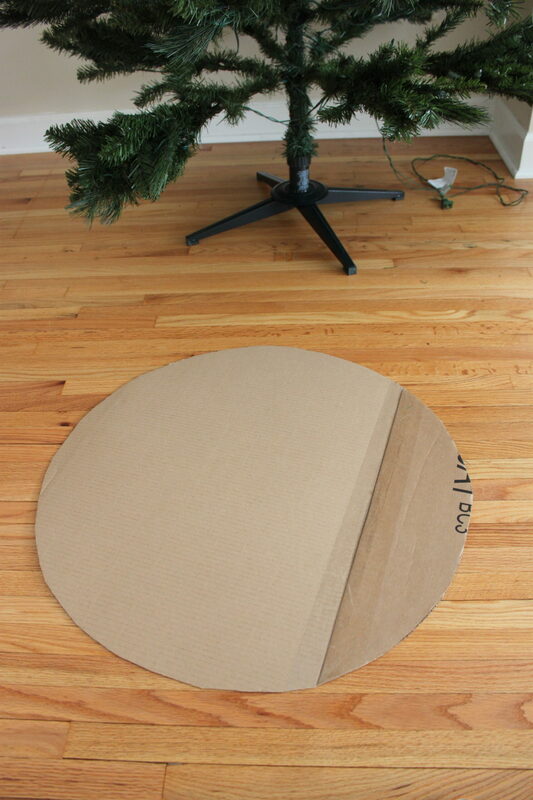 Step Two: Cut a circle of cardboard the diameter (plus 2-inches) of your tree base. 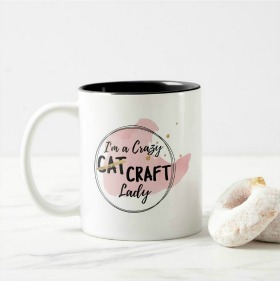 My circle was 24-inches in diameter. 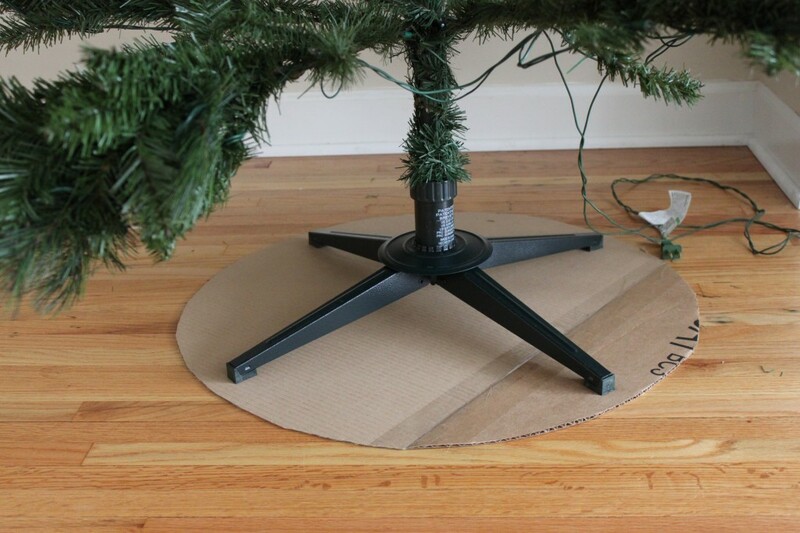 Step Three: Center the cardboard circle under the tree base. Step Four: Cut a large square of burlap with a length of 2 times the diameter of your cardboard circle plus 8-inches. Mine was 56-inches (24 plus 24 plus 8). 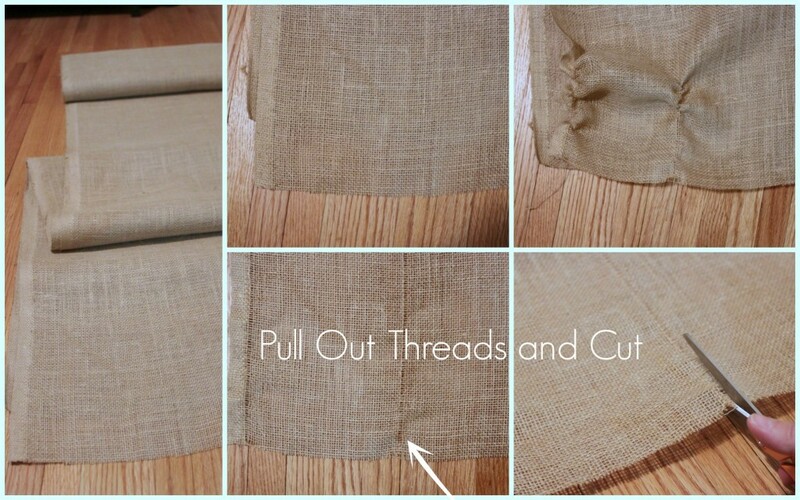 Mine also wasn’t a perfect square, since the width of the bolt the burlap came on was a little less than 56-inches. It still worked out fine. 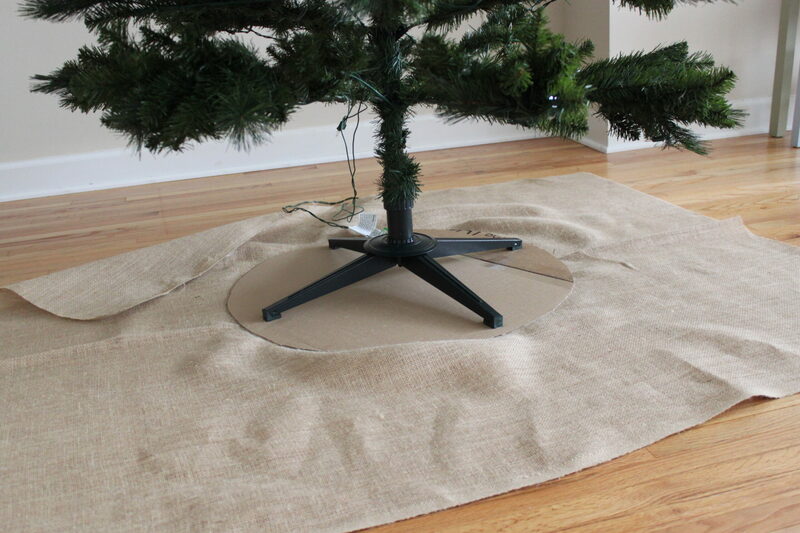 Step Five: Center your burlap square under the tree stand and cardboard circle. 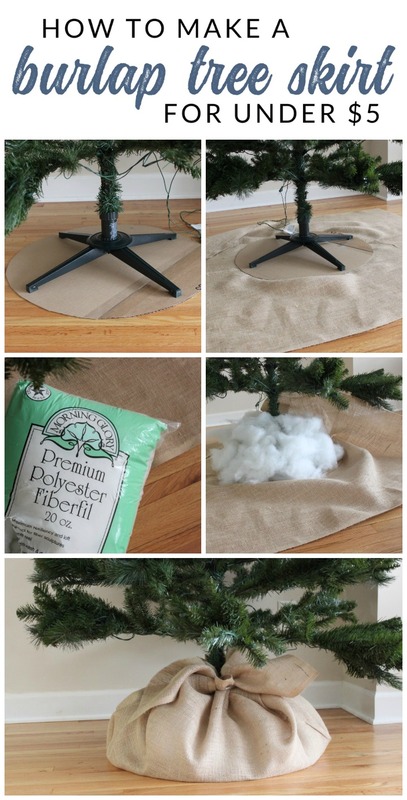 Step Six: Add polyfill stuffing or crumpled paper around the tree stand. 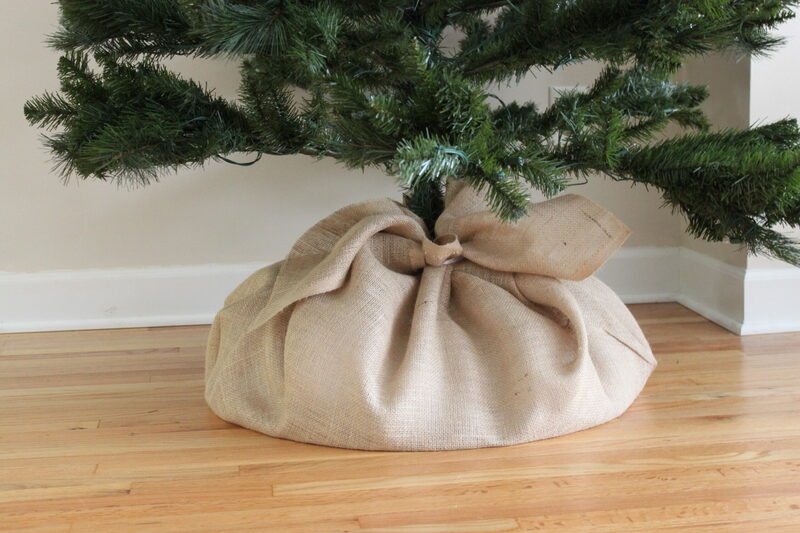 Step Seven: Gather the corners of the burlap and tie a ribbon around the base of the tree. Boom! 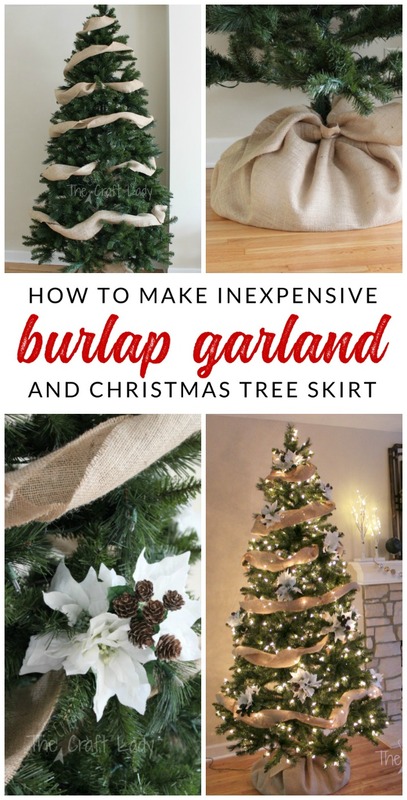 There’s your $3 tree skirt solution! 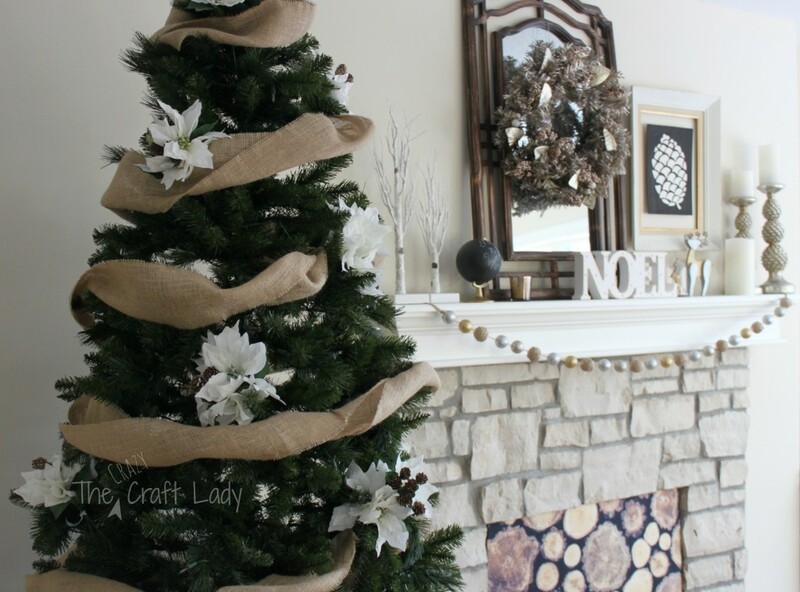 Step Nine: Wrap your tree with burlap garland. 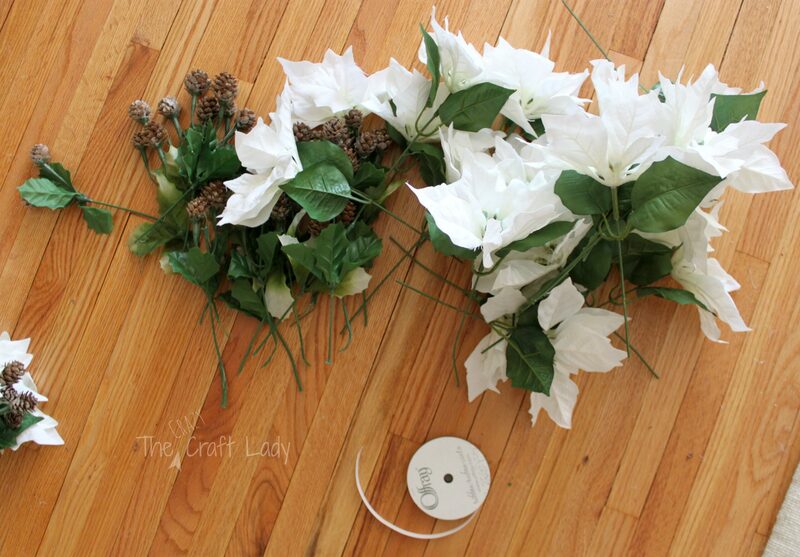 Step Ten: Gather your flowers and pine cone sprigs. Cut apart the bunches. 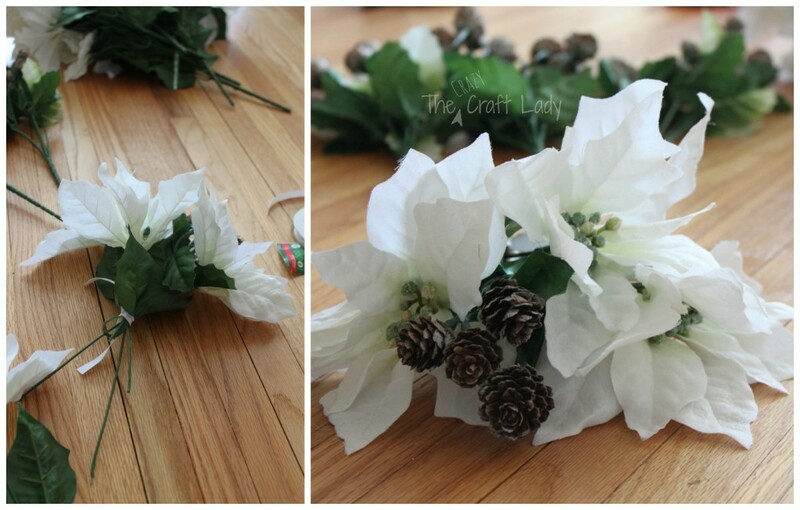 Step Eleven: Make bunches with three flowers and two acorn sprigs. 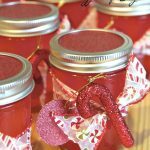 Tie together with a ribbon or piece of twine. Step Twelve: Set your flower bunches in your tree. 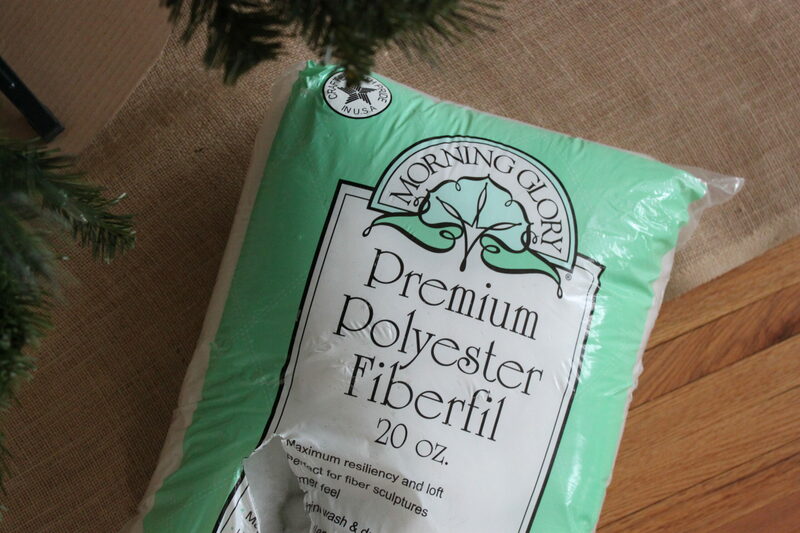 No need to fasten them in – they will just sit in-between the branches. There you go! 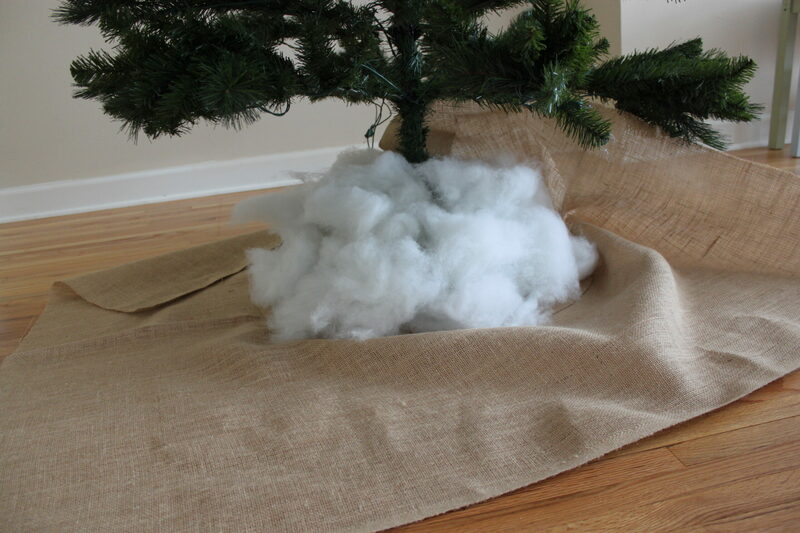 That’s my toddler-friendly, under $30, Christmas tree decorating solution. 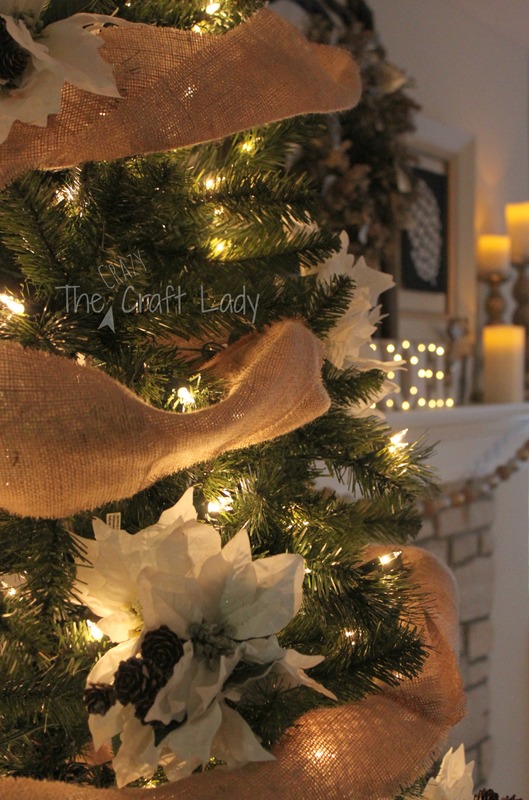 LOVE the burlap tree skirt. LOVE IT!! I love the simplicity of it! I have an 11 month old and our tree is decorated down to the last two feet…it’s not pretty, but its better than not having a tree at all I guess. 🙂 These are good tips, though. Perhaps next year. First of all, I don’t blame you on the ornaments. 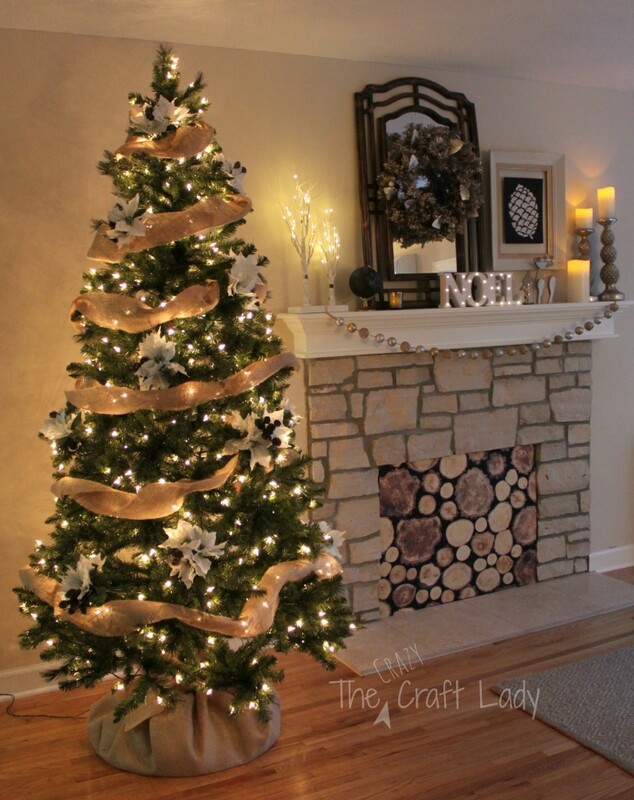 Second, your tree is so beautiful! 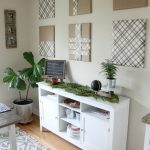 I love the burlap wrap on the bottom; gorgeous! 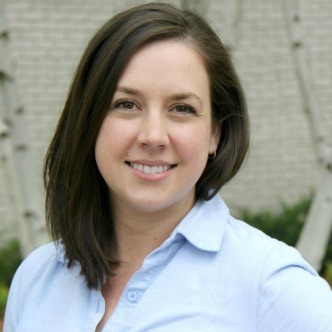 Thank you for sharing at Inspire Me Wednesday. Featuring you in this week’s issue.